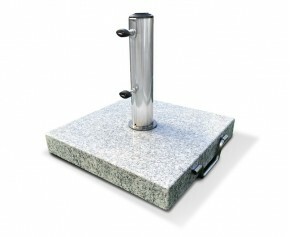 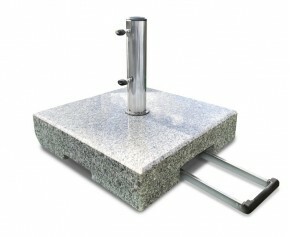 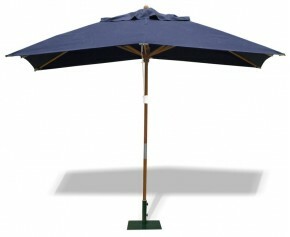 Prevent your parasol from blowing away with this slate grey square 13kg steel parasol base. 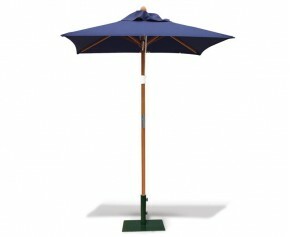 Featuring a stainless steel tube and a grey powder-coated steel base for aesthetic appeal, this heavy-duty garden parasol stand is suitable for all garden sizes and styles and can be placed unobtrusively under a table setting. 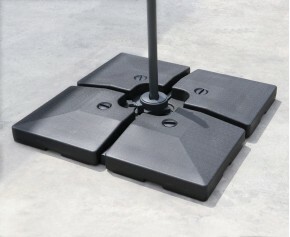 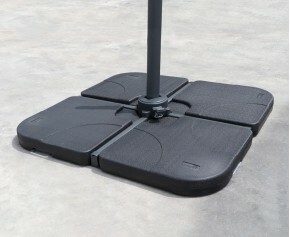 Located on the underside of the base are 4 rubber feet which help to cushion this grey square steel parasol base when placed on hard surfaces such as concrete and decking. 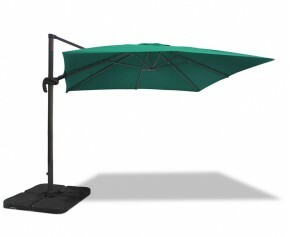 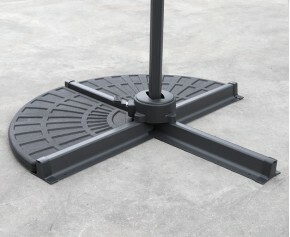 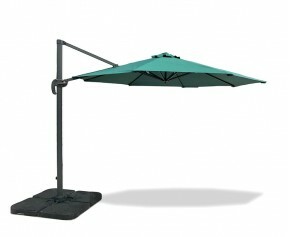 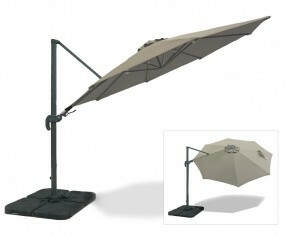 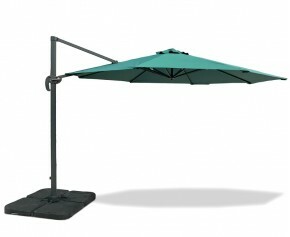 It can be made extra secure by bolting the parasol base into the ground using the 4 holes in each corner. 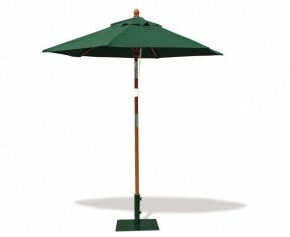 This slate grey square steel parasol base is suitable for all parasols with a diameter of up to 50mm and features two tightening knobs on the side of the tube to keep the parasol secure.